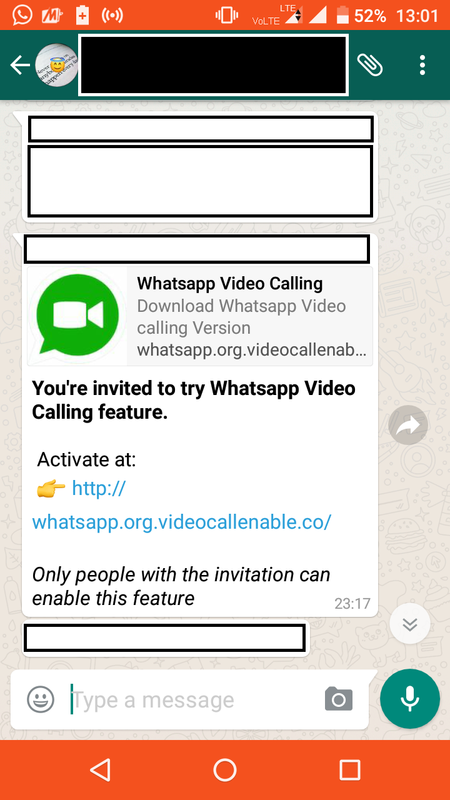 WhatsApp who was recently testing Video Call in Beta Version launched the feature for all. Users just needs to update their App with new version from the Play Store. 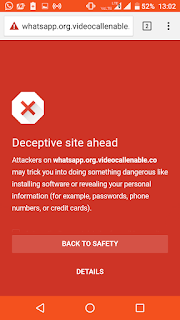 At this moment of time some people trying to spread one fake link which quoted that to activate Video Call feature, Users are asked to go through it, but honestly there is no invitee thing out there by which you activates the Video Call. WhatsApp do come up with invitee scheme when they launched Voice Call feature but later they rolled out that for all. Its quite obvious that competition is quite high now and every Social App is trying to bring maximum feature which can increase their customer base as well as business hence there is no need at all for any user to go some sought of special tweak to get the job done. Last year when WhatsApp launched the Voice Call feature it was not launched in end to end way, all of the sudden spam artist played with the vary moment by launching a kind of a duplicate link and trapped many. Since WhatsApp came up with enabling Voice Call feature after getting a call from someone who already had Voice Call enabled but later the Facebook-owned firm learned about the spam in the case of invitation feature after discarding it WhatsApp rolled out the Voice Feature in via respective App Stores. 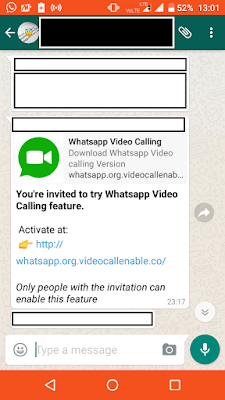 Since after testing the Video Call for a month WhatsApp rolled out the feature but this time they didn't repeated their past mistake which they committed last time but still Spam Artists are busying peoples to route towards the phishing. 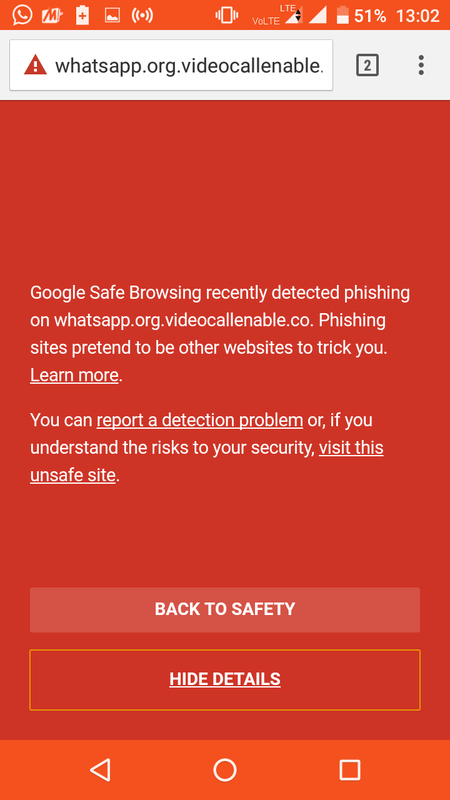 Within some days after WhatsApp officially launched the feature, people start sharing the Apk files of new WhatsApp version or the invitation link in both cases better not to go through it since it can be a spam hence updating the App from the Play Store is a better and safest choice. What kind of message is this ? Basically these messages are distributing in Groups first. Any random group you're a member of will get this message. For knowing or unknowingly peoples are distributing this and unknowingly peoples are clicking into these messages as well. Nowhere days peoples are very much aware of Apk files as well and start installing the third party apps which are not available in Play Store because of probably security or financial reasons in between App developers. But few peoples won't leave any stone upturn of the smart phone and start downloading third party app which is might not be feasible for the phone itself or might have many security bugs which can expose the users personal details to any random servers, hence by default Android Mobiles comes up with the installation of third party apps disabled and peoples have to enabled it on their own risk if they wants to install any Apk file. Now this spam invitation link looks to be like this with the link given no one will able to find that whether its fake or real in first instance hence many can comes in a trap. 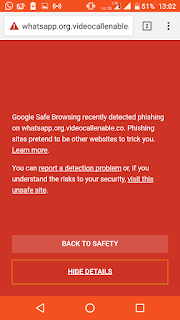 Although in initial days peoples who realizes it as phishing has already reported and thats why the link is already came under the radar of Google who has marked it as spam. 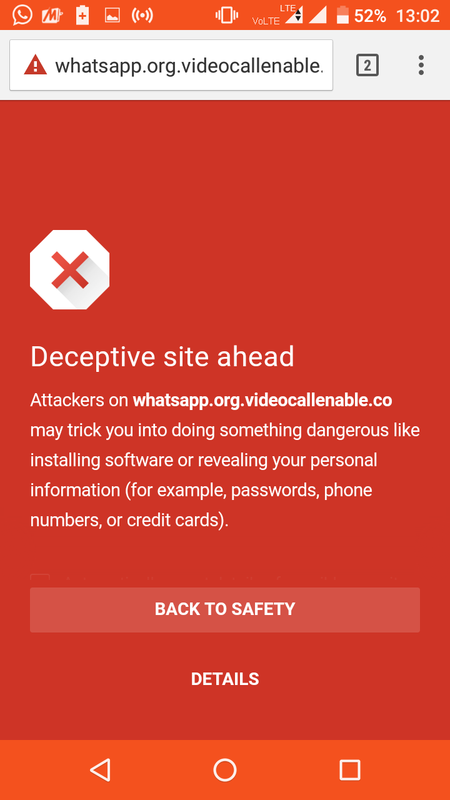 Thats why after clicking into the link you will see such warning message. Now even afterwards you wants to try it then it would be totally upto your risk since this is not verified from the company itself. Also there is no invitation needed to enable the WhatsApp feature only thing which any user needs to do is to update the latest version of WhatsApp from the App Store. Hope this blog will clear many doubts regarding the WhatsApp Video Call feature, although WhatsApp is quite late to implement this new feature on their App compare to other native apps, competition of Google is gone tougher this time as their stakes was quite high with Duos. But good that we got more and more competition in the market as more competition will give us more of exciting new Apps and Features.